Black Friday . Travel Deals . savings . Activities . Egypt . Jordan . Morocco . Dubai . Middle East . Black Friday is the largest shopping day of the year that falls on the first Friday after Thanksgiving! This year, Black Friday will be on Friday 23rd November 2018. What’s even better? The epic weekend continues through ‘Cyber Monday’ and ‘Giving Tuesday’, so you can focus on the best travel deals for the entire period between Thanksgiving and Christmas. ‘Black Friday’ first got its name in the early 1960’s. Initially, it was used as a term to describe the swollen shops and streets on the day after thanksgiving. However, storekeepers didn't approve of the negative prefix associated with the name, and they resolved to change the name to reflect their success on that day. According to the new definition, Black Friday is the day when shops and retailers finally start making a profit for the year. As a result, they are finally out of the red (negative amounts), and squarely in the black (making profit) starting on Black Friday. Embrace yourself! One of the biggest and the best areas for Thanksgiving-travel savings is Flights. With airlines of all size and sorts offering heavy discounts to entice your wallet, it’s now much easier and affordable to fly to your dream destination in November. 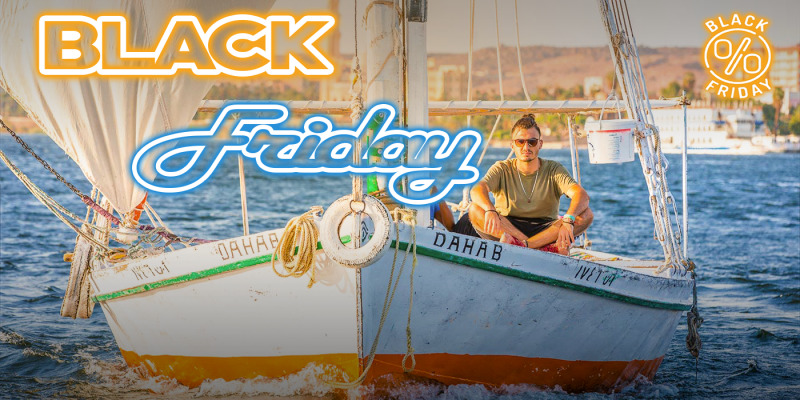 As a matter of fact, in 2017 the median airfare to the Middle East saw the biggest price drops – more than 16% which is unarguably the largest price drop of any region on Black Friday! Don’t forget that air carriers aren't the only travel providers slashing prices on products this Black Friday; hotels are getting in on the act, too! According to DealNews, shoppers can expect one third of the total travel deals to come from hotels. Second only to air travel, accommodation is the highest vacation expense, so bagging a handsome deal on hotels can help trim hundreds off your upcoming trip. In celebration of the biggest event of the year, you can expect tour and travel companies to provide truckload of discounts on guided tours on specific holiday destinations. What’s more? You can snap up a package cruise deal in Cairo or grab a long-due desert safari in Dubai, all for attractive prices that suit your budget. Don’t let the hot-travel deals linger in your online shopping cart for long. These special offers are first-come, first-serve, and limited in quantity. They will start at 9 am sharp and sell out in flash of a second. So, make sure you choose the flights, hotels, tour packages and put them on your ‘My Cart’ in advance. Pro Tip: While not all flights/hotels/tour packages are in the sale, we recommend picking a handful of options rather than just one, to make sure you have at least one deal sealed. The large number of travel deals available on Black Friday can feel slightly overwhelming. Rather than scouring multiple websites to book the best deal, you should streamline your search to the reliable booking websites you know and trust. Keep checking your favorite travel-agency’s website, sign up for their newsletters, ‘like’ their Facebook pages and get notified about their best deals first! So, where do you want to travel? You may already have a dream destination on your mind, or perhaps you are in for grabbing a cheap deal to escape the winters. Either way, it’s good to decide on your destination in advance. What’s more? Rather than storming the internet for a multiple holidays, why not keep it simple and try bagging the best deal for a specific trip? While being practical is the key when looking for the best offers, it is more important to shortlist your desired destinations beforehand, as it’s easy to get distracted especially when there is truckloads of lucrative deals to attract you. A better way to refine your search for the best travel deal is to decide what type of trip you would like to venture on to! While separate bookings for fights and accommodation give you better flexibility on flight times and departures, you can also book a full packaged deal with options for half-board or full board, and self-catering. Choose what works the best for you!